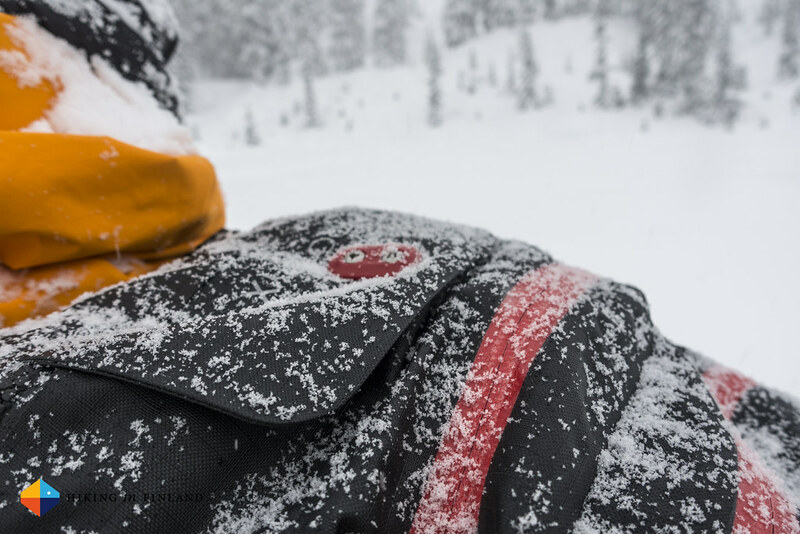 The second big news from last weeks Arc’teryx media event in Vancouver was the launch of the Voltair Avalanche Airbag. 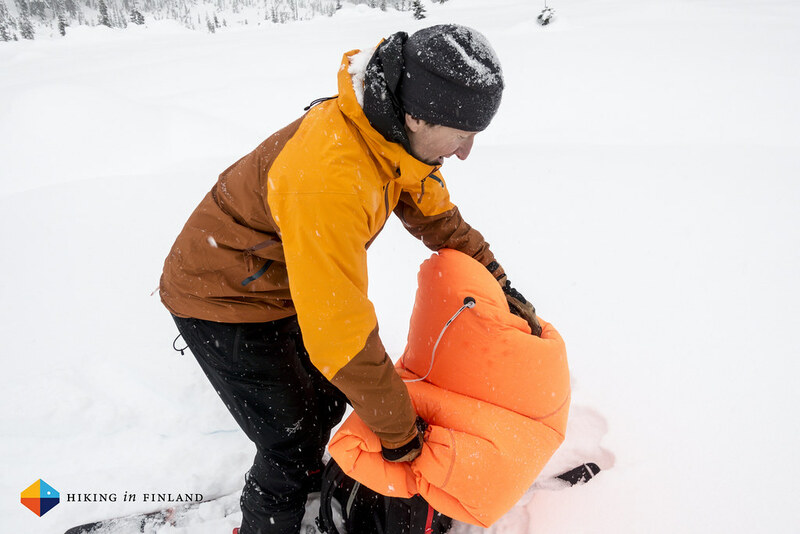 As I was able to use and deploy it over three days in the Canadian backcountry what follows are more insights on this game-changing avalanche airbag. No, it has no similarities with the JetForce Technology. Both are powered by a battery, but that’s already what these two technologies have in common. And the Arc’teryx Voltair Avalanche Airbag battery allows the bag to be deployed up to 8 times on a fully charged battery, which is two times as often as the Jetforce lets you deploy the ballon. 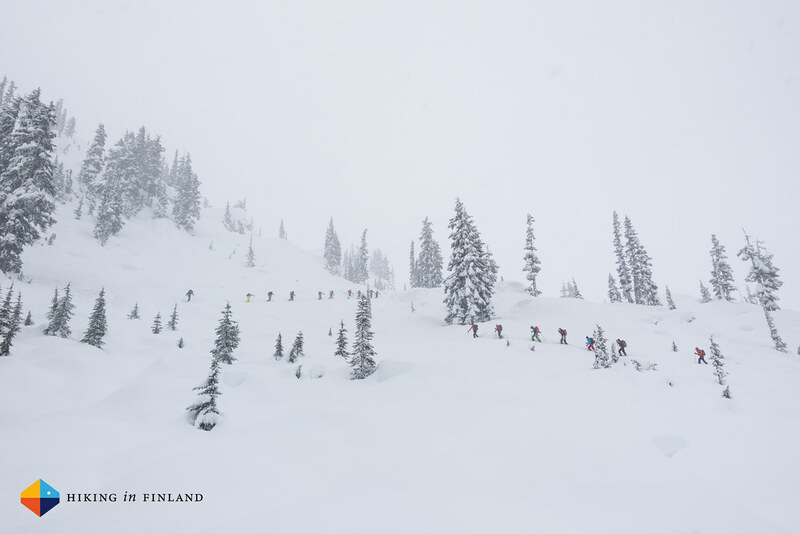 It’s even more at warmer temperatures, and less at -30°C - but then again, not many will be out skiing at -30°C. Gordon Rose started to dabble in Avalanche packs around ten years ago, but the Voltair project started in February 2010 for real. 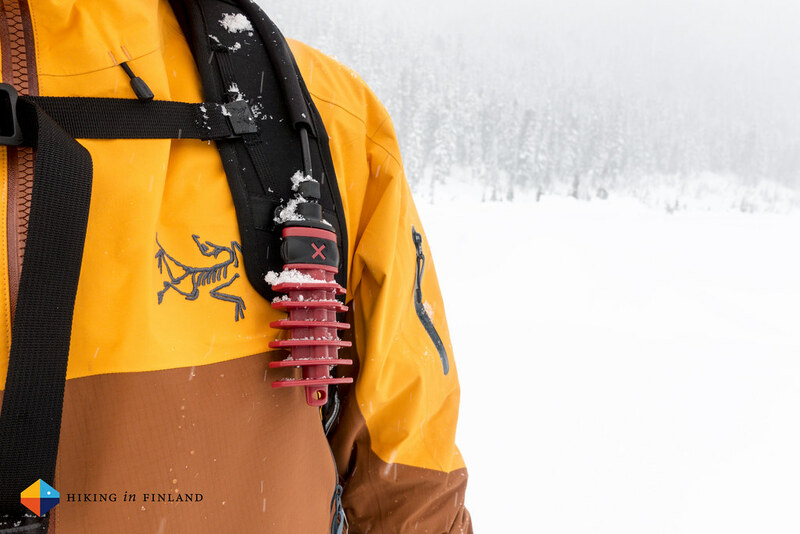 Since then Gordon and his colleague Peter Hill, who is responsible for the backpack part of the Voltair, have been working on this avalanche pack. 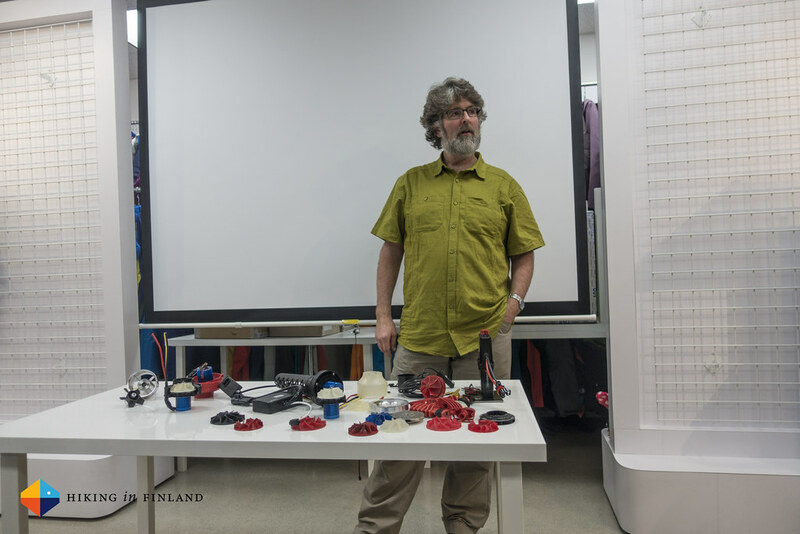 The inspiration for Gordon came from RC Models - he and a colleague where talking about how fast model planes can go, the short comings of compressed gas airbag, and saw possibilities of RC Technology for avalanche bags. Gordon went through many tests of propellor and centrifugal blowers until he settled on a mixed flow centrifugal blower. Advanced Design Technology in London, UK, helped him and Arc’teryx design the optimal propellor and after 21 designs and tests they had the perfect one for their pack. The next step was to get the battery right. Gordon settled on a Lithium Polymer battery design as these work well at cold temperatures and are the most efficient. Powertraveller helped design and manufacture the battery, and the one in the Voltair now allows you to deploy the ballon up to 8 times at -15°C - more at warmer temperatures, less at -30°C. The benefit of this should be obvious: It allows you to practice to deploy the airbag. If you know how it behaves, you’re less likely to hesitate to pull the trigger and deploy the ballon. Each of us popped the ballon a couple of times in a test environment, and then up in the mountains again. In the case of an avalanche this means you don’t wait and pull the trigger and deploy the ballon. The battery is charged via a cable and goes from empty to full in 2,5 hours, and weighs 800 g - a weight that Arc’teryx hopes to improve in the future. For the release trigger Arc’teryx decided to use a mechanical system - while the possibility to use an electronic system is tempting, they decided in harsh conditions there’s just too much which can go wrong with a electronic release, and a reliable pull trigger is the best way to go. The Trigger is easy to unlock, but even in a locked position it is easy to release the ballon with just a small twist. The trigger is custom-molded and easy to grip with mitts and gloves, and connects via a steel cable to the ballon compartment. A pull on the trigger pops the closure open, this in turn connects to an electronic trigger which starts up the centrifugal blower which inflates the ballon in less than five seconds. The goal of Peter Hill was to make a classic, timeless Arc’teryx backpack which still looks great in five years. Constructed from the AC² material with taped seams and glued-in Sidewinder zippers, the pack is waterproof and keeps your gear dry. As it rained & snowed all the time as we were up in the mountains it was a good test for the pack, and it performed great: Everything stayed dry inside. 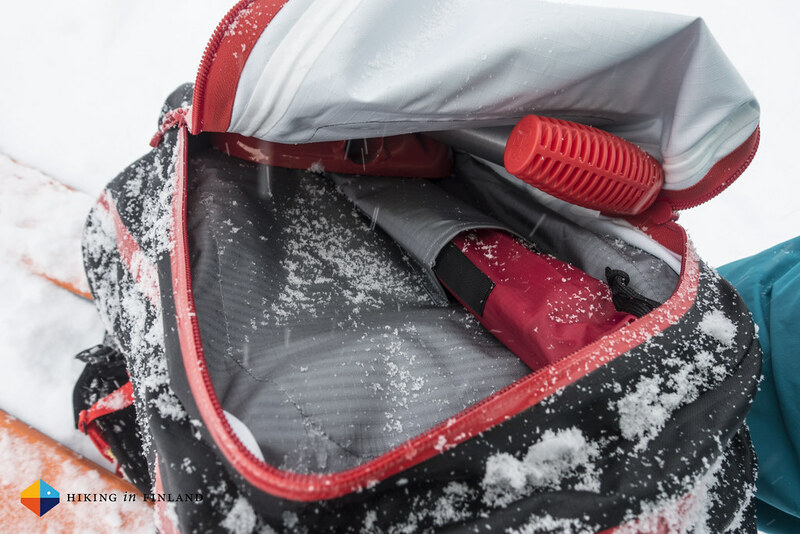 The Voltair has three compartments: A ballon compartment, an avalanche Kit compartment and a main compartment. Available in two sizes these pack are real 20 l and 30 l packs, unlike some packs of competitors which barely let you pack a puffy jacket and thermos bottle in their claimed volumes. I carried in my 30 l test pack two extra pairs of gloves, my Arc’teryx Cerium SV Jacket, my Norrona Lyngen Alpha100 Vest, a water bottle, sandwiches and snacks, my countour Hybrid skins, a tripod, two cameras and I had plenty of room to spare. If I compare that to my Black Diamond Dawn Patrol 25 pack that’s a massive difference, where it gets pretty hard to get so much gear in. The carrying system of the Voltair is very comfortable and is fully adjustable. The hipbelt has some freedom of movement so you can turn those hips for your turns, and if you want to save weight you can remove the stays. The hipbelt also can be turned around for transport, and the chest strap can be removed if you feel you don’t need it. 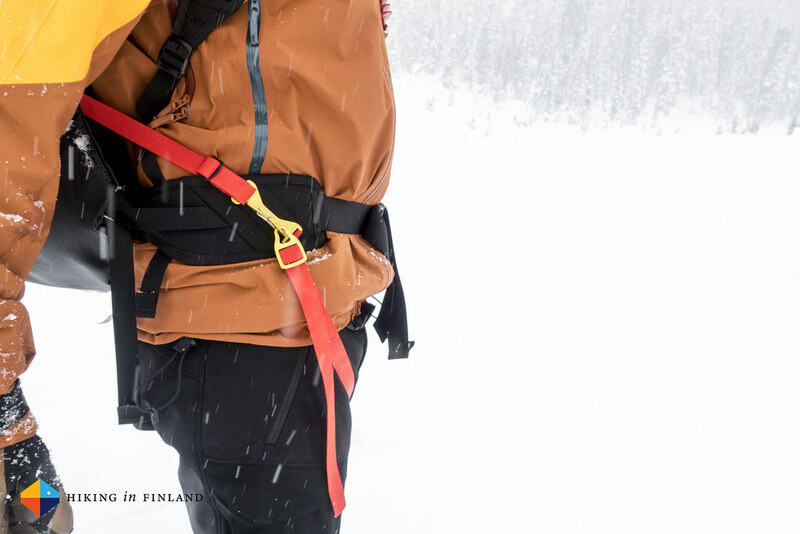 The leg loop strap is very easy to use which is very important: It’s the piece of gear that ensures you stay connected to the backpack and ballon if you get into an avalanche. It is super easy to clip in and out - also with mitts on - and the design is inspired by ice clippers as you might know them from ice climbing. The pack isn’t ultralight, even if Arc’teryx tried to use the lightest & most durable materials and technology in the pack. The 20 l pack is 3.235 g and the 30 l pack is 3.465 g - the tech inside is a big part of that, with the battery itself already being a wee bit over 800 g. Arc’teryx hopes that this weight will be decreased in the not-too-distant future, especially since major players are heavily infesting into energy storage solutions. I was able to use the pack for three days out at Callaghan Country, which gave me a good understanding how this pack carries and deploys. The first thing you realize is the comfortable carrying system, which carries also (for an ultralight backpacker) very well, even with a pretty full pack. Also the leg loop is wonderfully intuitive and unobtrusive: It clips in and out super easy even with thick gloves on, and you don’t realize it is there while skinning and skiing. As I haven’t used Avalanche Airbags before I have nothing to compare the Voltair to, but chatting with Lou of Wildsnow and my other colleagues at the event it became evident that the Voltair is a well-designed Avalanche backpack which compares very good with other packs in the market. The advantages of battery-powered packs in comparison to compressed air backpacks are evident: You can practice and test the release of the ballon at home, it is much easier to travel with as you don’t need to find a place to fill up the air cartridge before you hit the slopes at your destination, and being able to release the ballon in the Voltair up to eight times means using this pack on long outings adds a lot of safety. Packing the ballon is a thing of two to five minutes, depending on your level of practice. The ballon deflates via a valve which you slide in. Happily the ballon does not need to be folded in a special way - just stuff it back into the ballon compartment, close the zipper, pop the hatch back in and you’re ready. I discussed at length with Peter and Gordon about the use of zippers for the ballon compartment as it’s most certainly the thing I like least, but as every other avalanche pack on the market uses zippers (they work!) and in a pinch you can use the ballon even if the zipper is broken, I am convinced that it is OK. Putting the system on and releasing the ballon is also easy. You put the battery on and get a re-assuring short whirr which means the system is on and ready to go. The green LED lamp at the outside will blink green indicating that all is good to go, then you just turn the handle to the green dot side and you’re ready to skin up and ski down. In the case of an avalanche you pull the trigger and POP! the ballon deploys, helping you to hopefully stay on top thanks to the inverse segregation principle, which sorts larger particles to the top of the avalanche. 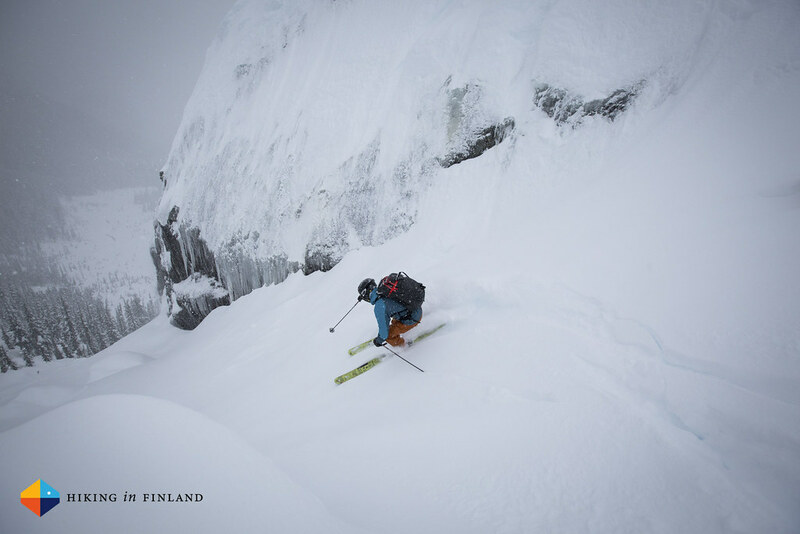 The handle of the Voltair is also always accessible and can not be stowed away, this again minimizes the risk of user error and is different from other avalanche packs. You can carry skis/ snowboard and an ice axe at the front of the pack, just make sure to put the ice axe with the tip down (ballons and steel tips don’t work well together). The side compression straps help to minimize volume if you are out with a small load, and the front hipbelt is comfortable and carries well. All buckles are easy to open in cold weather with gloves, and the zippers have tabs which makes them easy to operate with gloves on. Finally, the battery and control unit of the circuit collect data of the pack in use, with the aim to further the knowledge base of avalanche airbags in use. This data can be downloaded - should the user agree - when the pack is sent in for inspection. 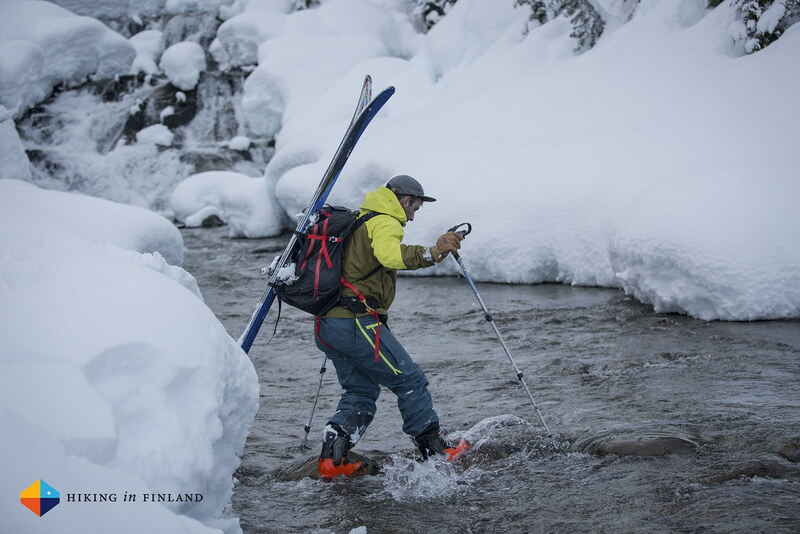 Arc’teryx works close together with Pascal Haegeli of the Simon Fraser University in Vancouver, one of the premier avalanche researchers on the planet. 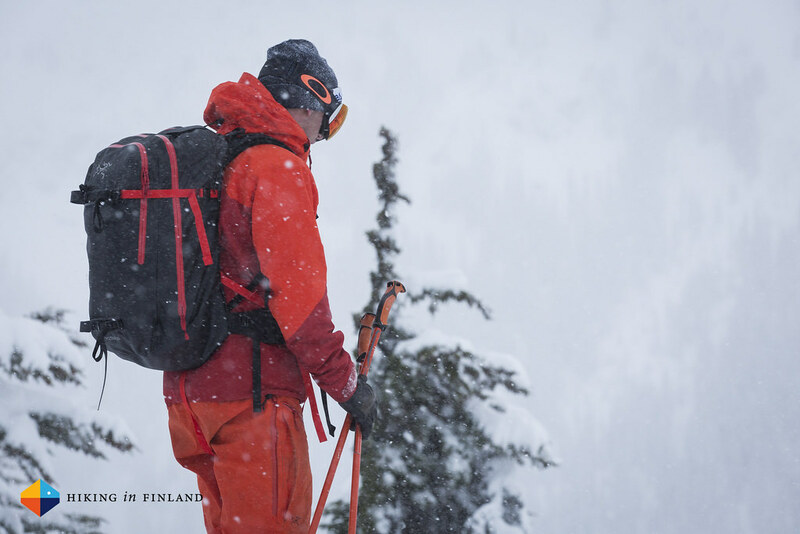 The Voltair is a beautifully designed avalanche pack which is spacious and easy to use. 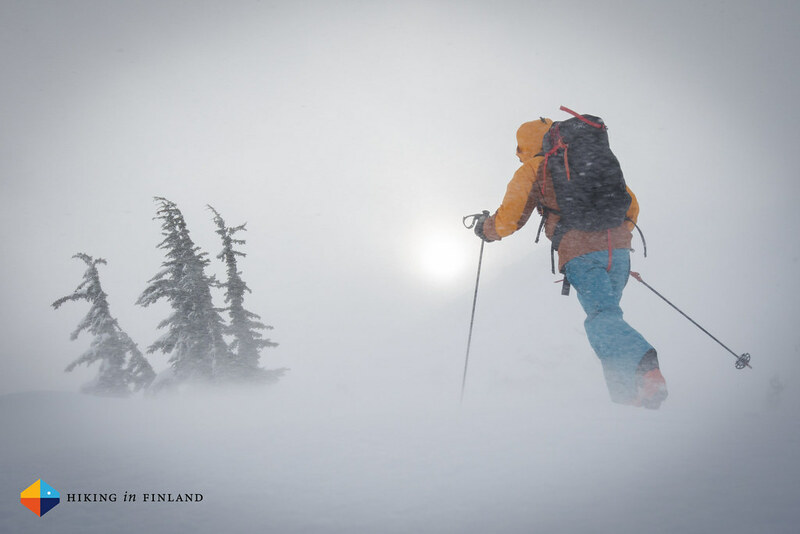 The tech inside is all custom-made and designed to the highest standards, so that it can operate at -30°C and for many years in the harsh conditions of the backcountry. 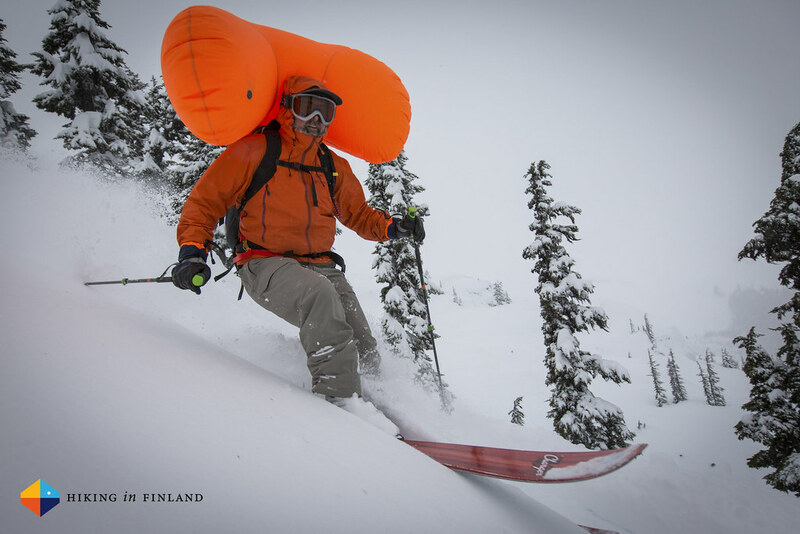 It is easy to learn how to deploy the ballon, pack it back in and then carry all your gear on your backcountry ski-tours. Fully waterproof it keeps your kit inside dry, and the possibilities for human error minimized it hopefully helps you to survive an avalanche if you should ever get into one. The packs will retail for 1650€ for the 30 l pack and 1550€ for the 20 l and will be available in autumn 2016. Of course using the pack for just three days is not enough for a long-term review, but I am confident that with a sample pack showing up hopefully soon I can put it through its paces during the many ski-touring trips I have planned for this winter and then can get a more detailed review up by spring. A lot more high resolution photos are in the Flickr Album, and if you enjoyed this article buy me a coffee!